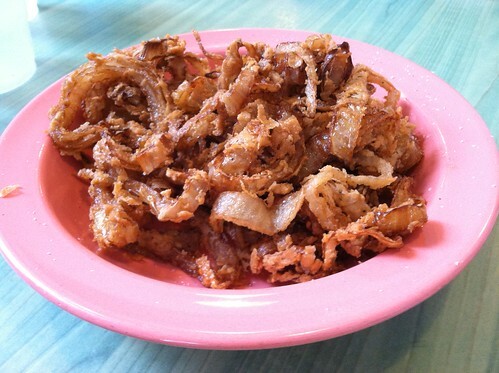 Blondie and Brownie: Shopsin's Onion Rings for the Win! Lawman and I have been going to Shopsin's for a decade, but it’s taken me until now to try their onion rings which means I have a lot of lost time to make up for. Crispy on the outside and perfectly tender on the inside, these rings go down easy. Get a side order to go with their famous sliders or a bowl to share with the table. If you love onion rings as much as I do, you won’t regret it.